The backstory of Catholic unrest during the Restoration (and a plague!) is engrossing. However, be prepared for some outlandish coincidences as well as romance in improbable circumstances. Combine a mercurial and evidence-immune president with well meaning, incompetent and possibly corrupt family, proto-Nazis and political hacks-who all work against one another and one has the setting for great political satire. Unfortunately, it is true (or mostly true). 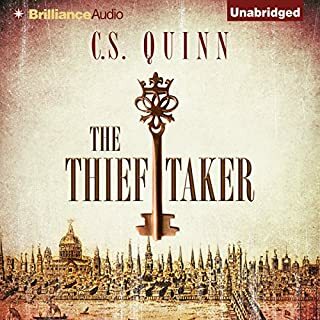 The writing is very crisp and Holter Graham's narration is spot on. What I appreciated the most about the book was the analysis of infighting that underlay many of the Trump administrations incomprehensible policies. 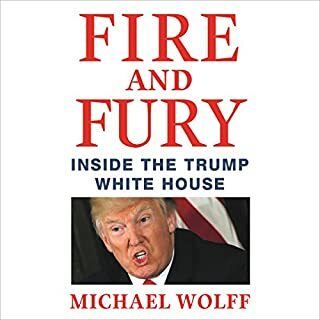 And while the main protagonists may sometimes seem like caricatures, Wolff generally writes sympathetic portrayals of second and third-tier people in the administration. While the book is entertaining, it is also deeply troubling and should inspire action. 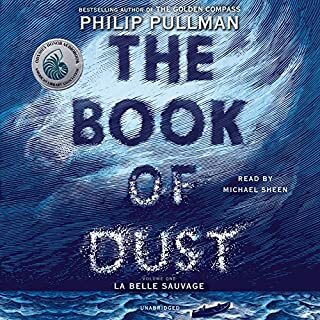 Renowned storyteller Philip Pullman returns to the parallel world of Lyra Belacqua and His Dark Materials for a thrilling and epic adventure in which daemons, alethiometers, and the Magisterium all play parts. Phillip Pullman's writing is superb, as usual. The characters are vivid. The narrative is a page-turner. Michael Sheen's narration is outstanding. From the end of World War II until 1980, virtually no American soldiers were killed in action while serving in the Greater Middle East. Since 1990, virtually no American soldiers have been killed in action anywhere else. What caused this shift? 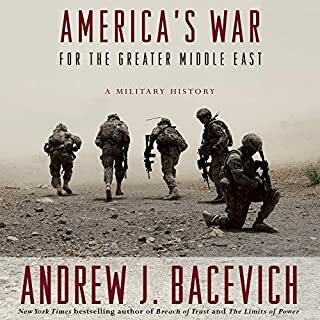 Andrew J. Bacevich, one of the country's most respected voices on foreign affairs, offers an incisive critical history of this ongoing military enterprise - now more than 30 years old and with no end in sight. Andrew Bacevich's unsparing analysis of U.S. failure to achieve policy goals (where they were clear goals) in the larger Middle East is unsettling and merit a wide consideration by taxpayers and citizens. We may need to consider that we have been burying our collective heads in the sand. Joe Spork repairs clocks, a far cry from his late father, a flashy London gangster. But when Joe fixes one particularly unusual device, his life is suddenly upended. Joe's client, Edie Banister, is more than just a kindly old lady - she's a former superspy. And the device? It's a 1950s doomsday machine. And having triggered it, Joe now faces the wrath of both the government and a diabolical South Asian dictator, Edie's old arch-nemesis. A crackling over the top story performed by a narrator who luxuriates in the language. Every second was enthralling - a real and wild circus ride. Hilarious, profound and deeply moving. 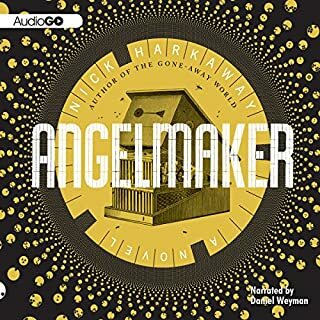 Perhaps the best of the very many excellent audible books I've listened to. The author of 12 acclaimed books, Robert B. Reich is a Chancellor’s Professor of Public Policy at the University of California, Berkeley, and has served in three national administrations. 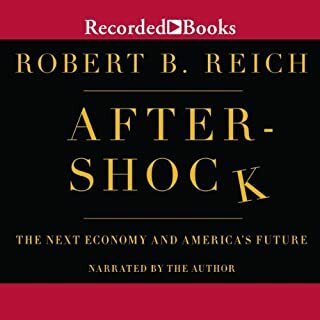 While many blamed Wall Street for the financial meltdown, Aftershock points a finger at a national economy in which wealth is increasingly concentrated at the top - and where a grasping middle class simply does not have the resources to remain viable. Would you listen to Aftershock again? Why? Robert Reich has written a pithy, accessible explanation of the core economic problem surrounding income disparity. HIs analysis is spot-on, and although you may not fully agree with his proposed solution(s), I certainly wish he had been on President Obama's economic A team. I was initially interested in Suskind's "Way of the World" because of the latest revelation of Bush/Cheney skullduggery - the forged letter verifying Al Queda's link with Saddam Hussein. However, the book is much more than an argument for impeachment. Suskind documents how Bush/Cheney administration has alienated the U.S. from the rest of the world, and how that has made it more likely for a terrorist nuclear attack. 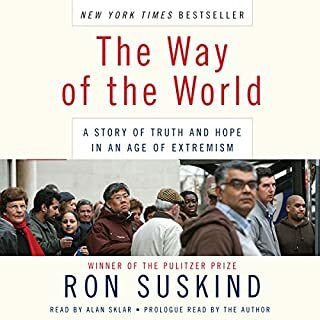 As importantly, Suskind also provides stories of hope - about people who are working to genuinely reduce the threat of a nuclear attack as well as people who discover that their common humanity transcends the religious and political differences between the Islamic world and America. The book is very well-written and excellently narrated. In 1991, acting on a tip from a local fisherman, two scuba divers discovered a sunken German U-boat, complete with its crew of 60 men, not too far off the New Jersey coast. The divers, realizing the momentousness of their discovery, began probing the mystery. Over the next six years, they became expert and well-traveled researchers, taught themselves German, hunted for clues in Germany, and constructed theories corrective of the history books, all in an effort to identify this sunken U-boat and its crew. This narrative is read very well and has the elements of the extreme danger of deep sea diving, the obligation of duty, and the mystery of an unknown sunken U-boat. The story combines the short-term thrill and chills of deep sea diving that literally had me at the edge of my seat with the the longer-term contemplation of the common humanity of these divers and the perished U-boat crew and myself. 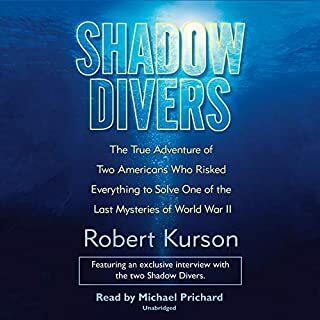 Like all great stories, the Shadow Divers engages one's moral imagination, not to mention the dangers of not compensating correctly for buoyancy and becoming a dirt dart. Among the 50 or so books I've listened to, this is the very best. In 1859, Charles Darwin published a vastly important work, On the Origin of Species by Means of Natural Selection. For centuries, man had been seen as a created species, distinct from any other animal. 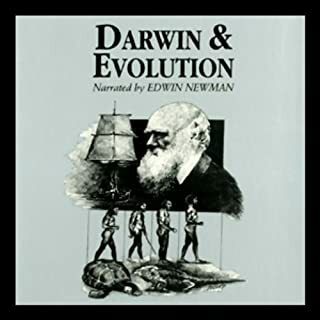 Then, Darwin persuasively argued that mankind and other species are descended from common ancestors. His theory of "natural selection", also known as "survival of the fittest", explains how life evolved through natural processes. Michael Ghiselin is the highly regarded author of "The Triumph of the Darwinian Method" and has written a very accessible and short history of evolutionary thinking. The reading is excellent and engaging, particularly the passages in which various writers, including Darwin, are quoted.